Losing good performers is not only a "brain drain" of your company's human capital, there are also direct and indirect costs associated with replacing the very employees you would rather retain. To a great degree, voluntary turnover is manageable. Investing in solutions such as Employee Exit Surveys or Engagement Surveys that result in even a small reduction in your employee turnover rate can lead to substantial reductions in employment expenses over the long term. Studies have estimated direct turnover costs to be at least 25-30% of an individual employee's salary/benefits, with hidden costs increasing that figure even more. How much does turnover cost you? Use this simple calculator to see how much turnover impacts your bottom line. How are average turnover costs calculated? 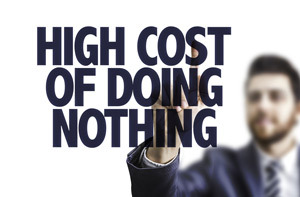 Studies have identified many direct costs associated with employee turnover. Examples are: Separation pay, termination and hiring administrative costs, exit interviews, employment advertising, employee pre-screening, interviewing, assessment testing, background checks, travel costs, moving expenses, signing bonuses, medical exams, formal and informal training time, employment literature and manuals, and a new employee's learning curve. All these are figured into the average 25% of salary estimate while at the same time recognizing your indirect costs may, in fact, make this number higher. Learn more about what contributes to turnover costs in our blog article here.